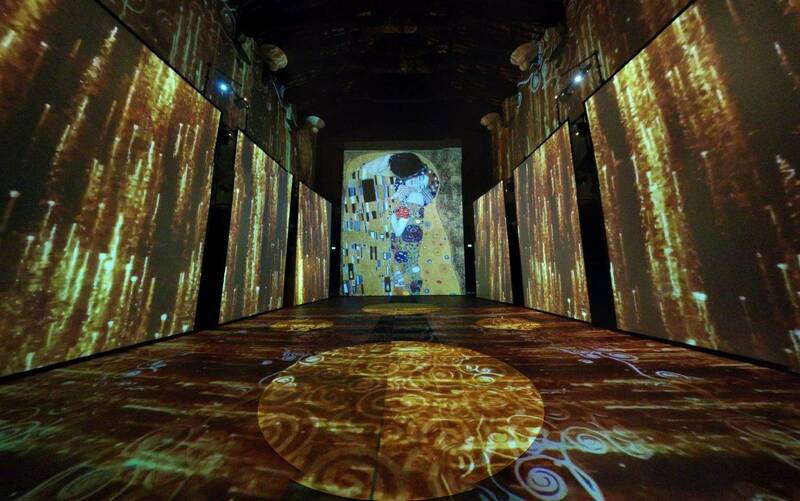 The figures and landscapes of Klimt’s art are the absolute protagonists of this immersive representation dedicated to the founding father of the Vienna Secession, who, together with other artists, cultivated the myth of the total work of art and the dream of a democratization of creativity and that which is beautiful. 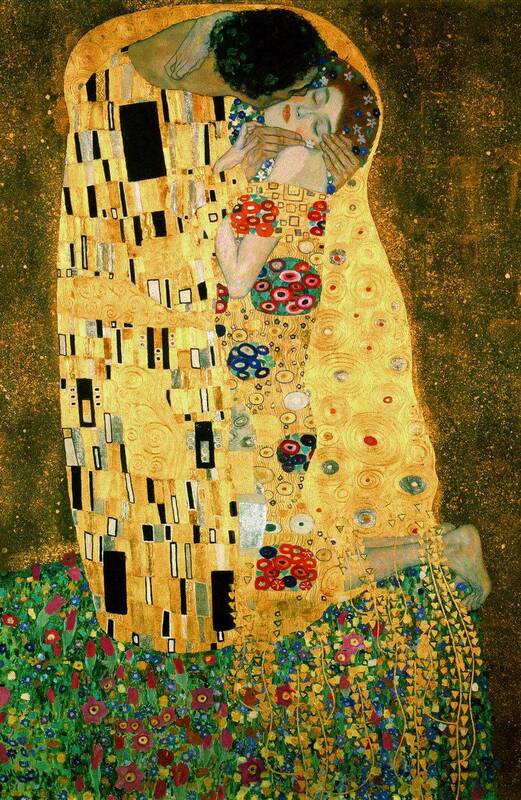 Works such as The Kiss, The Tree of Life, or Judith I, have become part of popular culture, but Klimt is still an artist about whom there is much to discover and, above all, to recount. This is the aim of the show: to entertain, intrigue and amaze a public young and old, inviting them to delve into the knowledge of the man and the artist, about his work and style, with the spectacular display of details and pictorial technique. 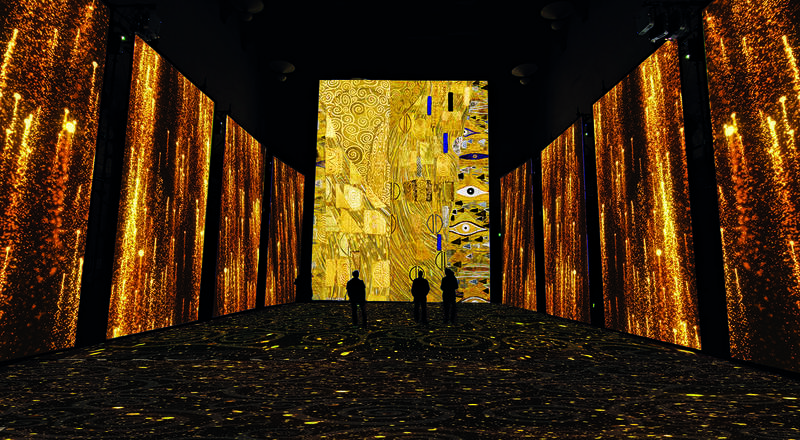 It is above all thanks to the innovative proprietary MATRIX X-DIMENSION® technology, designed exclusively for this video installation, that it was possible to create an immersive experience of Gustav Klimt’s art. 45 minutes in which images, lights, colours, music, and sound envelop the audience, bonding with the allure of the location. Thus a fusion of technology and architecture is achieved, capable of giving the illusion of being transported on an incredible journey through Klimt’s work. A vast didactic area introduces the multimedia show, with fixed informative supports and integrated experiences to delve in depth into the artist thanks to interactive multimedia tables. Furthermore, thanks to the Oculus Samsung Gear VR stations, a state of the art technology that creates the realistic sensation of physically entering the works, it will be possible to perceive every figurative and colour detail in three dimensions. The result is the experience you are about to live. 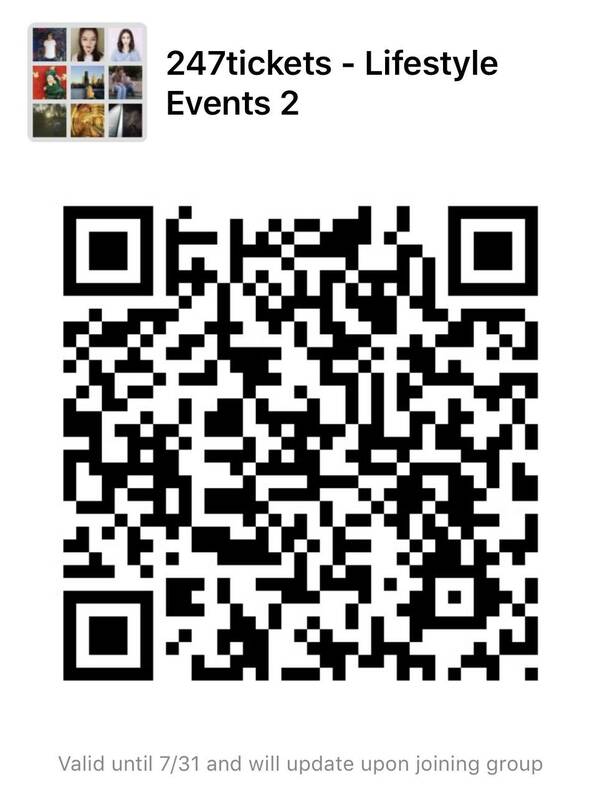 Free for one child under 1.3m when accompanied by an adult with a ticket. Please note during public holidays, you won't be able to use your weekday tickets! Monday, Tuesday, Wednesday - doesn't matter: public holidays are a no-go. But you CAN use your weekend tickets, so plan accordingly.